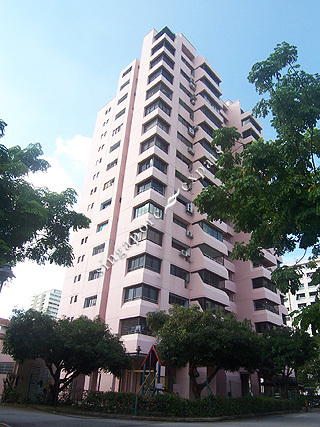 GALAXY TOWER is located at 30 ONAN ROAD in district 15 (Katong, Siglap, Tanjong Rhu) of Singapore. GALAXY TOWER is a Freehold Condo development consisting of 64 units. GALAXY TOWER is completed / TOP in 1989 (estimated), developed by GALAXY DEVELOPMENT PTE LTD.
Educational institutions like CANADIAN INTERNATIONAL SCHOOL (TANJONG KATONG), CHATSWORTH INTERNATIONAL SCHOOL (EAST), ETONHOUSE INTERNATIONAL SCHOOL, HAIG GIRLS' SCHOOL, KONG HWA SCHOOL and TANJONG KATONG PRIMARY SCHOOL are near to GALAXY TOWER. GALAXY TOWER is accessible via nearby PAYA LEBAR, EUNOS and DAKOTA MRT Stations. Nice place to stay. Very convenient, grocery, household just at door steps. Lots of Cafeteria, fast food, restaurants.